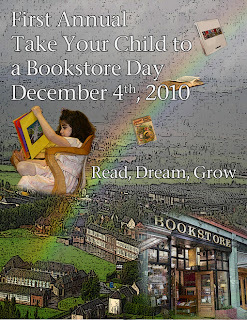 December 4 is Take your child to a bookstore day. Actually, every day should be Take your child to a bookstore day, but December 4 is a good day to start. ← >National Book Awards Announced!